All I want for Christmas is….to have all the money to cover the cost of adoption. Been there, done that, already made that Christmas wish. Unfortunately, Santa didn’t drop down my chimney and hang an envelope on the tree for me on Christmas morning. However, this event let’s Santa play a part in helping to pull off a fun-filled Christmas fundraiser that is great for the whole family! The excerpt below, from www.fundraising-ideas.org and shared with permission, tells you how to organize a “Breakfast With Santa” fundraising event in December. At the end, we provide some additional ideas and tips to create for even better success. 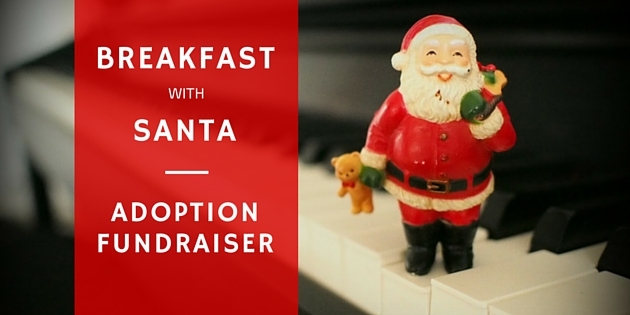 Hold a Breakfast with Santa fundraising event in December. Sell tickets for $10 in advance, $12 at the door. Serve pancakes, sausage, bacon, coffee, milk and juice. Servers dress as Santa’s elves. Santa visits each table addressing the children by name (courtesy of name tags). Santa then retreats to his decorated throne where you sell pictures of the children with Santa. Use a Polaroid or a digital camera (with laptop computer and printer) on a tripod for consistently clear shots. Arrange a good backdrop and/or props such as a sleigh or reindeer. Experiment ahead of time to determine the best lighting and distance for good photos. Get photo cards or envelopes to make sure the photos get home in good shape. Sing Christmas carols to help pass the time. Photos can be extra or included in the breakfast ticket charge, raise ticket prices accordingly. If included, tables for service could be assigned as participants arrive and photo sessions called by table number to avoid long waiting lines. You might also arrange a secret microphone on Santa, with the speaker in the parents designated waiting area to learn their child’s secret wish for Christmas. 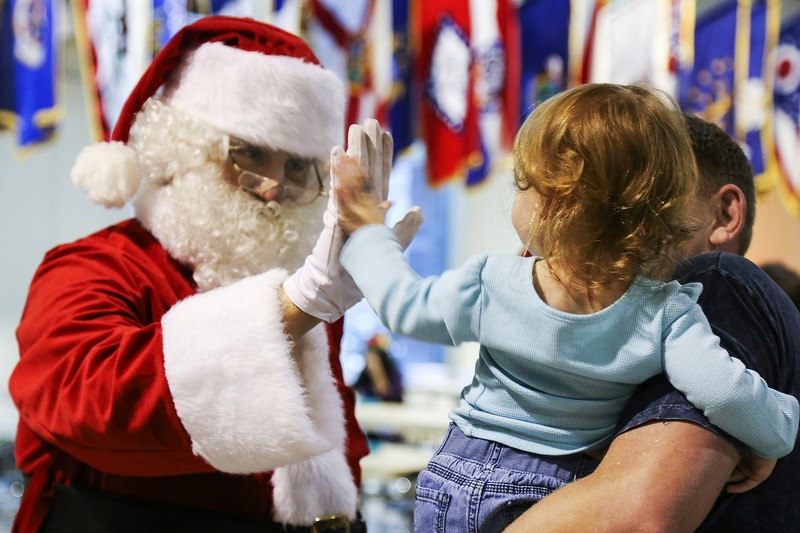 Kids Activities – Have plenty of other activities for the kids to do while they are waiting to sit on Santa’s lap. Consider having a “storytelling” corner setup where one of Santa’s elves can read Christmas books to the kids. Or how about an art station with a few volunteers where children can create some Christmas decor or a fun ornament for their tree? And of course, face painting is always a plus. These activities can be included in the cost of the ticket or you can charge extra for these stations, especially if there are supplies required (i.e. making an ornament). One family, the Teply’s Breakfast With Santa Adoption Fundraiser brought in $1,722! Volunteers – Don’t skimp on the volunteers! Ask around in your community to find groups who may be interested in doing some community service. 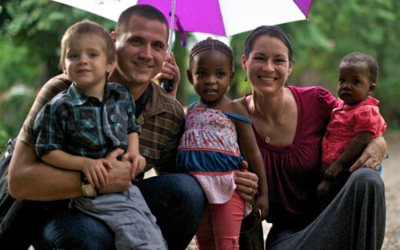 Consider MOPS groups, sports teams, college groups, church youth groups and local businesses. You will need to have volunteers lined up to wait on the tables, serve the food, and assist with kids’ activities. Photography – If you would rather not take Polaroid pictures at the event, find a local photographer to take the pictures and allow families to view edited photos online of their child after the event. They can then place their orders for their desired photos. This fee could go straight to the photographer for his services or perhaps you can find someone to volunteer their time and photos and donate all or a percentage of the profits to your adoption. Promotion – Get the word out all over town! Consider contacting local preschools, elementary schools and daycare centers. Hang flyers in your church nursery area, too. Be sure to create a Facebook group and ask your friends and family to RSVP and share the event on their FB wall. Keep Costs Low – Minimize and/or offset your expenses by finding a free facility to use. Reserve the facility as soon as you have a date set since December is usually a busy time and it can be difficult to reserve space for events. Also, aim for getting all of the food donated. Many times local restaurants or grocery stores jump at the opportunity to sponsor events like this, so don’t be afraid to ask! Don’t want to do a BREAKFAST with Santa? No problem. Supper with Santa works just as well. 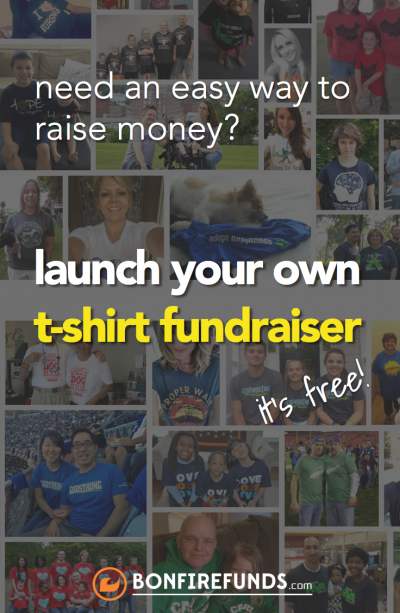 If you have organized this fundraiser and have some great photos or ideas to share, tell us about your experience! 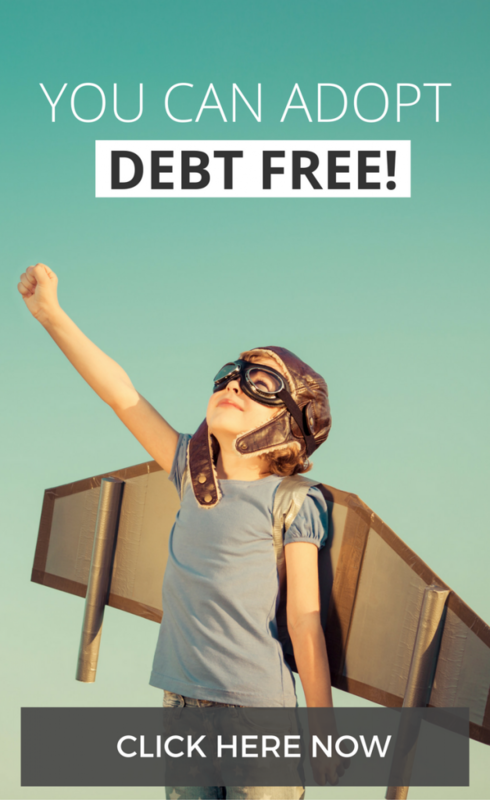 We would love to add to this post and provide families with even more ideas.